Gallbladder surgery can be performed in several different ways. Old fashioned "open" surgery is now becoming less common than minimally invasive methods like laparoscopic surgery. 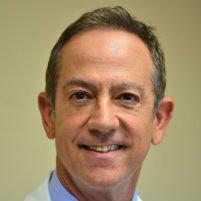 Dr. Moses Fallas is a general surgeon serving the West Los Angeles area in Beverly Hills, CA who performs gallbladder surgery. The gallbladder is essentially a storage area for bile created by the liver. The gallbladder secretes bile into the intestines, as it helps with fat absorption. The gallbladder will start working whenever a person eats in an effort to aid digestion. Gallstones can happen to anyone, although females get them more commonly. Gallstones may often develop during pregnancy. People who suffer from high cholesterol may have an increased risk for gallstones, also. Abdominal pain is the main indicator of possible gallstones. Any person who has pain in the stomach after they eat or pain in the back after they eat should be evaluated by a doctor. Some people who have gallstones also feel nauseated after a meal and they may even vomit after meals. Many people who suffer from gallstones also notice that symptoms are more severe after particularly unhealthy foods like fried or high-fat foods. A general surgeon can diagnose gallstones using an ultrasound. This is a quick and easy test that will help the surgeon determine exactly how severe the problem is. The best treatment for gallstones is typically a gallbladder removal surgery. Laparoscopic surgery is a minimally invasive way to remove the gallbladder using only tiny incisions. During this surgery, the gallbladder is removed from the navel while the patient is under anesthesia. Gallbladder surgery is the only way to completely eliminate the issue of gallstones, and for the majority of patients, it is by far the best option. After the surgery, patients will need to monitor their fat intake for a few weeks while their body adjusts. After the adjustment period, the majority of gallbladder surgery patients can eat normally again without fear of painful gallstones.